This could get ugly – the retail sector could be further damaged, while consumer goods and even some of the mighty FANGs might take a beating. Labor unions have had it rough over the last 30 years. It's been a decade since a major strike hit the U.S. economy. And it seems like decades more since unions were relevant. But one union has a surprising amount of power, and they're about to flex it in ways that we haven't seen in a long time. I mean the Teamsters at United Parcel Service Inc. (NYSE: UPS), of course. UPS drivers are one of the most critical components – cogs, if you will, in the massive machine that is American commerce. That's because they work along the "last mile," the devilish, ever-challenging, and costly business conundrum that keeps executives like Jeff Bezos up at night. The blazing fast shift to e-commerce over the last decade has put UPS drivers in both a tough position and the catbird seat. You see, companies like Amazon.com Inc. (NYSE: AMZN) have pushed the firm to ship products on Sundays, and drivers are working at breakneck speeds around the clock to get more… and more… and more… and more packages to America's loading docks, front porches, lobbies, and mail kiosks. They're working harder and faster than they have at any point in UPS' corporate history. Naturally, they want better pay and benefits for the job. So last week, with the help of the Teamsters, 90% of the UPS workers involved voted to authorize a strike should they not receive a better contract by Aug. 1, 2018. Last year, the company delivered 5.1 billion packages and documents – all "stuff" that makes the American economy work. That's a big number. But look at it this way: Roughly 6% of the U.S. gross domestic product (GDP) passes through UPS' "fingers." A strike that disrupts the ground-delivery business would create a massive backlog of packages, foul up supply chains, and paralyze a significant amount of U.S. commerce, possibly to the point of bringing that commerce to its proverbial knees. This gives UPS and the 280,000 Teamsters an incredible amount of leverage to push for two new contracts to replace the current deal that expires July 31. In fact, they have far more leverage than the last time that this happened, in 1997. That was fully three years before the dot-com bubble when Amazon.com was really just an online bookstore. At the time, UPS was still a private company. Roughly 185,000 Teamsters went on strike over 16 days. UPS lost $600 million dollars and was stuck with a package backlog of about 4 weeks. After the two-week strike, the UPS unionized workers obtained a 15% pay increase. Today, there are two contracts at issue. The first is a deal that would boost pay for drivers of the chocolate-brown trucks. As it stands now, part-time UPS drivers earn about $15 per hour. Full-time drivers pull down about $36 an hour – roughly $75,000 a year. The second is for UPS Freight, which used to be Overnite Transportation and Motor Cargo. More pay for more work. Sounds pretty straightforward, right? Well, here's the sticking point that's making the strike look likely: The company has a contract proposal that would force drivers to work up to 70 hours per week. Why can they do this? "To avoid service disruptions." Under the current contract, drivers can refuse to work more than 60 hours per week. Drivers are now pushing for better healthcare, higher wages, and other benefits while the company makes a push to increase delivery on opportunities. There's a lot of daylight between the two sides yet, with precious little time to bring the complex negotiations to a successful close. If UPS and the Teamsters moved to strike and drivers didn't deliver packages, it would bring the U.S. economy to a crawl. But today, the stakes are even higher. With e-commerce booming, UPS is a critical part of the U.S. supply chain. As I said, around 6% of U.S. GDP passes through its "hands," which means UPS is directly linked to the success and growth of the U.S. economy. No Place for Fear, Panic, or Mistakes: You may only have a few months to prepare. A market signal that showed up before the Great Depression… before the dot-com crash… and before the 2008 financial crisis has just appeared again. Click here to discover how. Look at Louisville, Ky., the home of the UPS "Worldport." This massive hub handles the company's global air operations that fly to over 200 countries each day. Were there to be a strike, packages just… wouldn't be coming in and out of the facility. In fact, it would effectively shut down the firm's global operations, which handles 2% of international GDP. Given the size and magnitude of this strike, it would likely create a highly unstable situation for companies using UPS around the globe. This includes consumer tech companies, Amazon.com, other retail giants, and more. Products wouldn't be shipped to customers. As the strike goes on, it would become much more than a matter of contracts and work/pay balance – it would then be a matter of national and global economics. In other words, it would dominate U.S. politics in a way that could tilt the 2018 elections. But… would U.S. President Donald Trump act to break the strike? There is precedent to consider. We would look to history for a guide on how the U.S. government acts when strikes occur. In the most extreme scenario, President Trump would have to consider breaking the strike, the latest move in a long American tradition of union-busting. Grover Cleveland used 12,000 U.S. Army troops to crush the rail workers on the so-called "Pullman Strike" that paralyzed American railways in 1894. Thirty strikers were killed. Damages ran to the tens of millions of dollars. Woodrow Wilson pushed legislations that ended the threat of rail strikes. And in 1981, Ronald Reagan sacked close to 12,000 air-traffic controllers who ignored federal orders to end their strike and return to work. Most of those strikers were blacklisted from government service for life. What every one of these strike-busting events has in common is an outsized impact on U.S. transportation and commerce. The U.S. economy is expected to tilt toward 4.6% economic growth in the second quarter. Maintaining that momentum – at all costs – is critical for the Republicans and Trump heading into the midterms. The question is whether Trump – aiming to protect economic growth ahead of the elections – would take that leap, with all the consequences that come along with moving against workers for the perceived benefit of business interests in direct contravention of his campaign promises. In any case, any strike would be a massive blow to the ongoing economic recovery of the country. And make no mistake: There will be a severe impact on UPS no matter what happens. That's right. Deals could be struck this afternoon, and the damage to Big Brown would have been done. 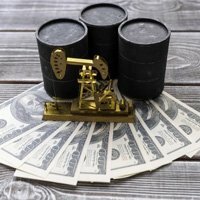 "Trouble Is Brewing": According to Bloomberg's latest report, America could be heading for an economic disaster that would rival the Great Recession. To see why we believe some of the richest players in the world are preparing for a market collapse, click here. Why? UPS' labor costs would rise considerably. While that may marginally increase shipping prices, the uptick in wages is an important factor. You see, U.S. wages have been rising almost all over. And given that the United States now has more job openings than people to fill them, American workers have greater leverage in salary negotiations across the board. In fact, until this year, that phenomenon had never occurred. And rising interest rates drag on the U.S. economy. You can kiss the recovery and the "Trump economy" goodbye at that point. But there's a way we can turn this entire economic mess to our advantage. The answer is plain as day. It's been there all along. But sometimes, the best move isn't the one most people want to hear. The reality is that FedEx Corp. (NYSE: FDX) is the single best way to leverage the potential impact of any strike by UPS employees. FedEx is the second-largest shipping company in the United States. Though it trails in ground vehicles behind UPS, the company has a much larger fleet. Even better, its "SmartPost" arrangement with the United States Postal Service can help mitigate the impact of a UPS shutdown. SmartPost service is a platform where FedEx picks up and processes e-commerce shipments and then gets them to post offices. That "last mile" delivery is then handled by the post office, rather than the global courier and delivery service. It's an end run around potential disruptions. And what's more, at a time when valuations are absolutely sky-high, FedEx looks almost irresistibly attractive – strike or no. Right now, FedEx is trading at 16 times earnings (the S&P 500 price/earnings ratio is more than 25) and it just hiked its dividend by 30%. It has outperformed the market over the last five years, and it aims to benefit from economic growth and increased consumer spending. Should a strike hit UPS, we could see a "dramatic" shift in service demand from customers, to put it mildly. Apple Inc. (Nasdaq: AAPL) already uses FedEx as its courier of choice… but Amazon is extremely reliant on UPS. 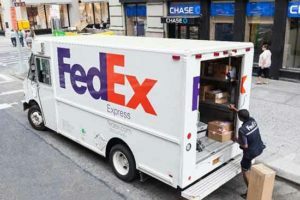 Just imagine: If FedEx is able to score even a small slice of business from the world's leading e-commerce giant and create more extensive inroads with other companies that have this event on their radar screens, the upside potential is enormous. There's another reason to grab FedEx right now: human behavior. Right now, this is not on investors' radar. FedEx is already a strong company with tailwinds behind it, and it will benefit from capturing UPS' "stranded" customers. But we're also going to see Wall Street start to pile onto this trade as they begin to grasp – after us – the potential magnitude of any UPS strike. The bottom line: The UPS strike could hit markets like the Jurassic asteroid, and FedEx will be waiting in the wings like a white knight to save the day and throw off mega-profits to folks who were savvy enough to see this happening. I like this setup for a quick, speculative double-digit gain. And although there are still miles of daylight between the Teamsters and UPS management, should any breakthroughs occur, we can take some cash off the table, wait for FDX shares to come down a little, and pick up even more on a company that could suddenly find itself with a semi-permanent business advantage. You'll be happy you were on the ride first. 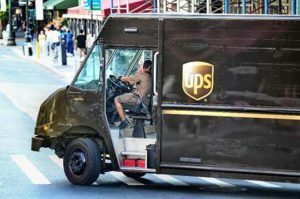 Perhaps the real solution would be that UPS should hire more drivers and cut down the hours to say no more than fifty hours per week, with overtime for hours over forty.